A strong public education system is vital to the long-term prosperity of our region and state. The state's share of public education funding has consistently decreased over the past decade due the state's outdated funding system, hindering the current education system's ability to graduate students who are ready to attend college or enter the workforce. Although a significant undertaking which will require active engagement by the business community for years to come, Texans need a system that provides adequate and effective funding for our children and for the creation of a skilled workforce. 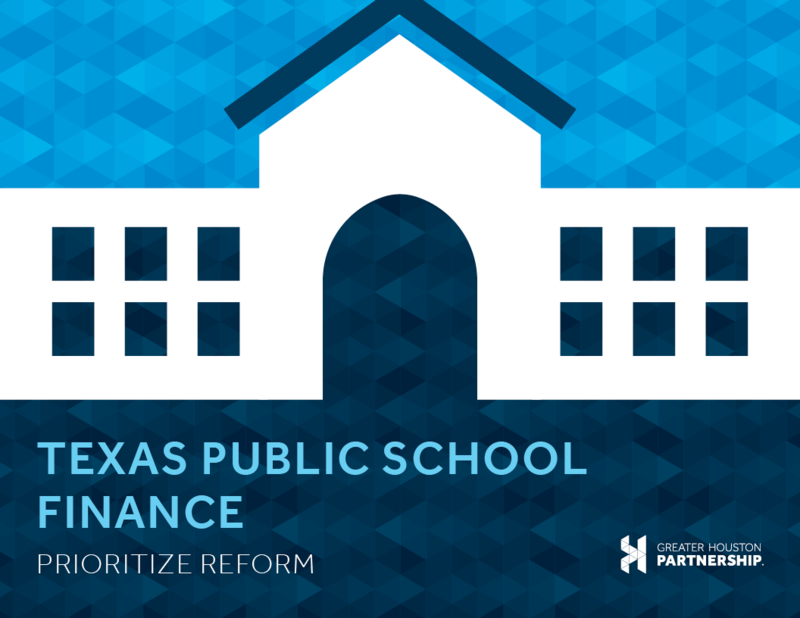 In order to aid the business community in better understanding the public school finance system, the Partnership has produced a white paper that provides in-depth information and analysis. Interested in joining the Partnership? Take the next step and learn how to make an impact on Houston.